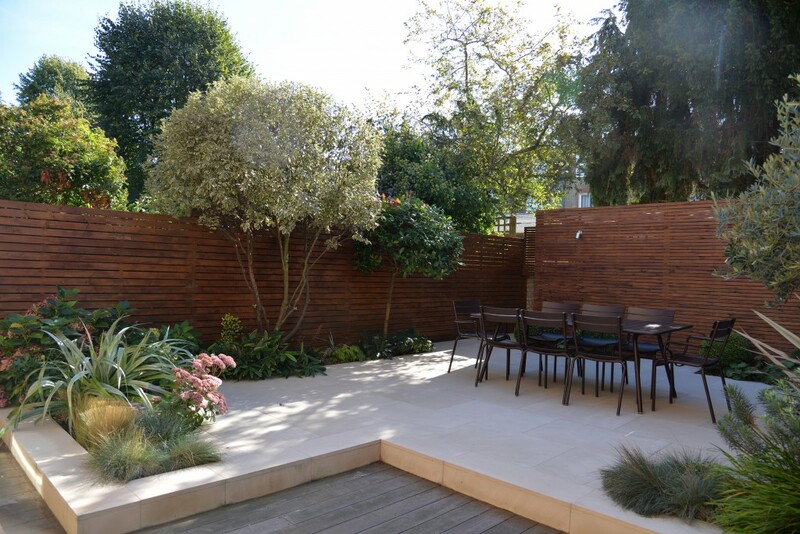 With this contemporary garden design Balham SW12 my client did not want any lawn and was looking for a soft contemporary space, with multi functional use, storage and architectural planting. My favourite garden designs are outdoor rooms, courtyard gardens, roof terrace design that require a careful space planning and stylisation. I wanted to soften and temper the contemporary design outline using a Venetian style slatted fence. The horizontal lines offer very calming visual, it softens and enriches the space while still complimenting the contemporary theme and nature of the form. 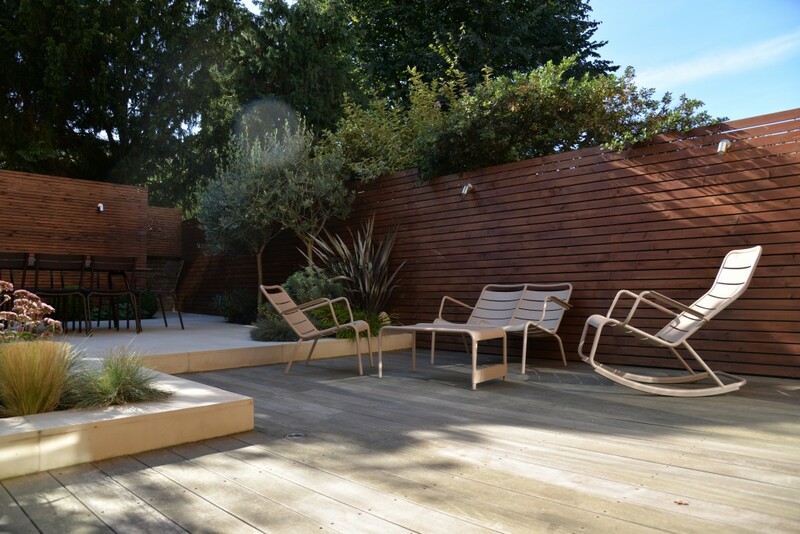 Creating two designated areas for this garden for me was the starting point, one for dining and one for lounging, so deciding this with my client was the first task . 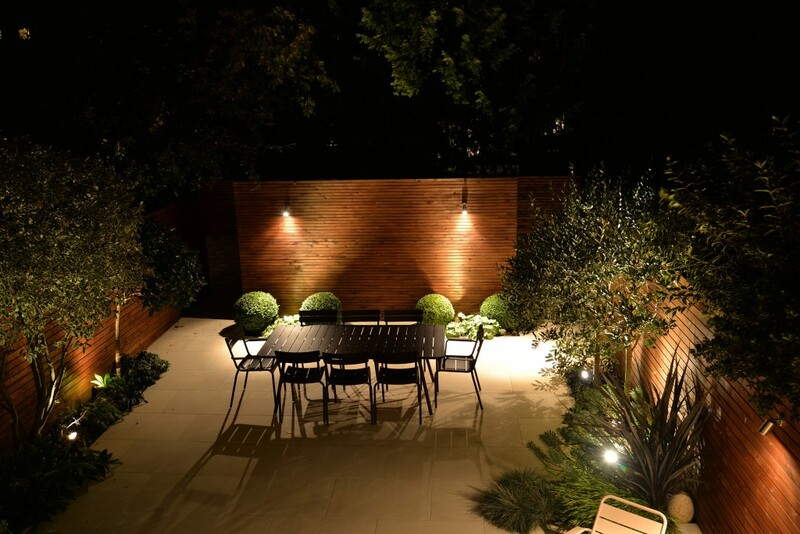 The upper area was to be for dinning and has a very light sawn sandstone terrace that looks great when lit in the evening and brings a light airy feel to the garden. The slatted Venetian style panel was designed to act as a visual focal point and back drop to the dining area (also used for lighting) and at the same time hide the storage area behind. The Balau hardwood decked lower area holds the lounging space and barbecue area. 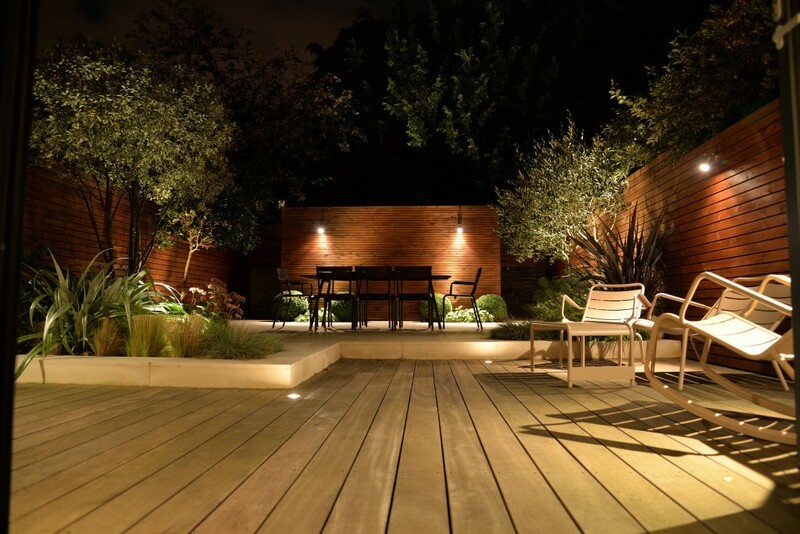 I find hardwood decking great to use in contemporary garden designs when wanting to soften the space creating a relaxing inviting atmosphere. 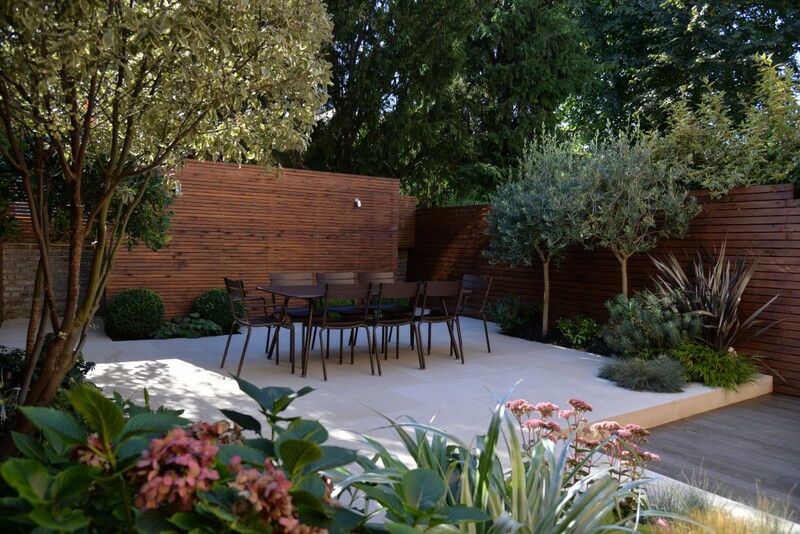 The architectural and Mediterranean planting create a light airy atmosphere punctuated with shape and colour. A great place to relax, unwind, entertain, socialise with family and friends. 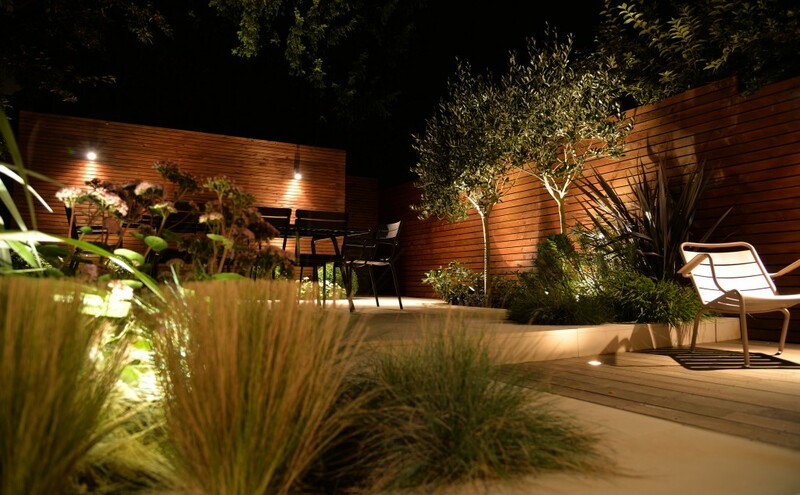 Looking for garden design Balham SW12 or surrounding area? Call The London Landscaping Company today.